The revenue cycle is the same in all healthcare facilities as an aid to bring in revenue for the services you are providing. Hospital revenue cycle management (RCM) is the same in a local health department or community health center. Assumptions are still held about public health entities in regards to revenue cycle management, that can cost you revenue and decrease your bottom line — a positive ROI. It’s important to acknowledge the myths that surround revenue cycle management in healthcare, so to help you understand it a little better, we’ll touch on the biggest myths. Whether you’re in a public or private healthcare facility, the revenue cycle and how it’s managed is important to the financial state of your business. It’s a cycle that audits the services you provide and receiving payments from clients as close to time of service as possible. Many facilities have different systems and procedures in place for how they make their money, but at the end of the day, the only thing that matters is receiving payment, and receiving that payment in a timely matter. Many tasks can get lost in translation, because the revenue cycle is complex. You have billing who needs to communicate with staff members as well as patients, and coding who has to talk with insurance — and that is just the beginning. 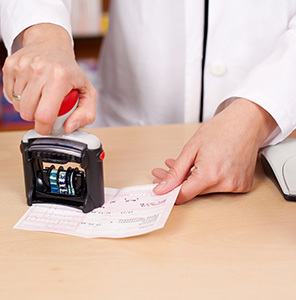 Implementing a revenue cycle management system streamlines billing for services (and much more) for public health spaces, and helps them create sustainable revenue and eliminate funding issues. Public health facilities do differ in how patients pay for services, so finding a balance between patients who you can successfully collect payments from and those you have to subsidize is crucial. As a business, this means collecting as much information as you can from them, before services are provided. With a revenue cycle management system, this can flag information that is needed, or can issue forms to patients before the time of service for adequate and up-to-date data. Money is a private issue for many, and talking about it with a healthcare facility can be scary for some. 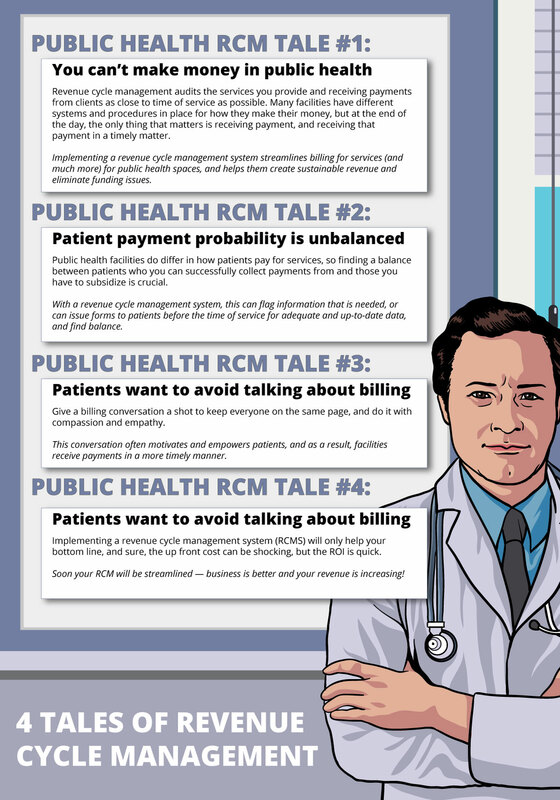 An open and honest conversation about billing with your patients, will only benefit your facility, after all, maybe patients don’t talk about it, because no one has ever asked or listened. Give a billing conversation a shot to keep everyone on the same page, and do it with compassion and empathy. The myth that an outsourced revenue cycle management system (RCMS) is too costly for public health facilities, has no weight. Implementing a RCMS will only help your bottom line, and sure, the up front cost can be shocking, but the ROI is quick. 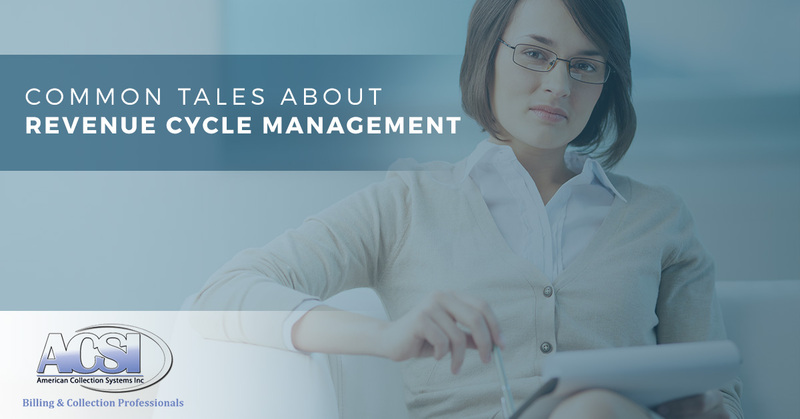 Soon your RCM will be streamlined — business is better and your revenue is increasing! If you have a public health facility and are concerned about the manner your revenue cycle management is being handled, give us a call and we can help identify and evaluate your current system. We also provide revenue cycle management systems to help get your facility where it needs to be financially!